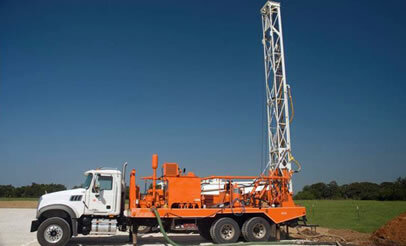 We provide water well installations tailor-made to the unique requirements of each client. Here at Waterseekers Well Drilling Services (UK) Ltd, we offer a complete water well installation service, which covers all aspects of borehole design, drilling, ground work and pump installation giving you a limitless supply of clean water for your business or home. Based in Nottinghamshire, we are well placed to offer our services across most of the United Kingdom. What are the benefits of a water borehole? The process of borehole drilling for your own water well supply starts with an initial consultation to discuss your requirements, a site visit and the commissioning of a full Borehole Prognosis Report. Following a positive prognosis report, a full written quotation including a full schedule of the works that we will undertake will be issued. This ensures you know precisely what you are commissioning. The final cost of the finished water borehole system is determined by several factors such as the depth of the water well, the UK geology of the area and the related accessories of the system. Once agreed, on-site work commences. 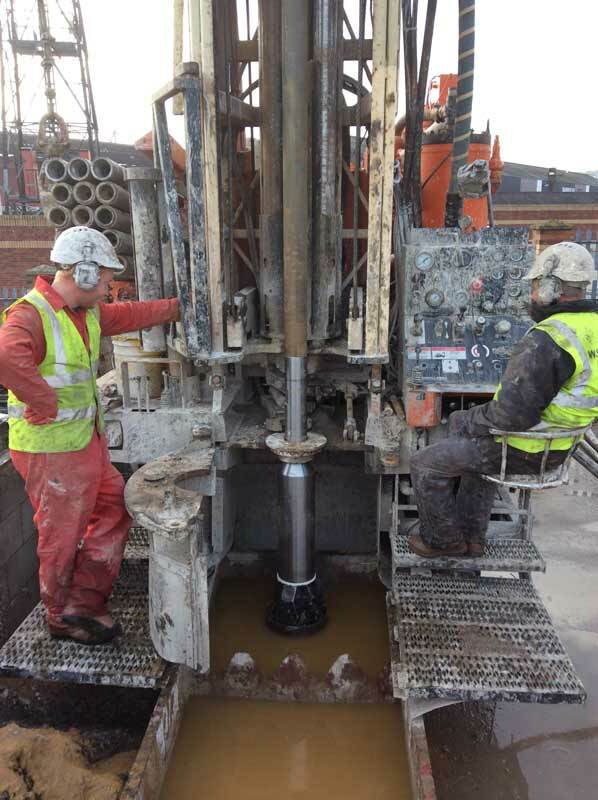 Working to industry guidelines and regulations, Waterseekers Well Drilling Services will ensure that a borehole is formed, which will be safe and reliable and with minimum disturbance and disruption to your site. All our materials are non toxic and environmentally friendly. We mobilise our drilling rig to the site and set up in a suitable pre-agreed location. 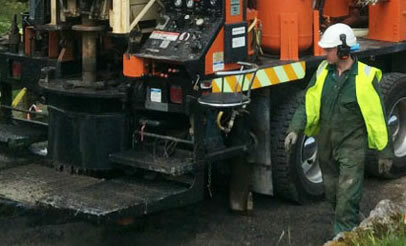 We drill a hole and install a temporary casing into the rock-head to support the loose soil and broken ground above. This allows us to start drilling to the full borehole depth required. The arising from the drilling process are flushed to the surface using either water, air or mud and collected in a suitable container or pit. The depth of the borehole varies according to conditions but is usually between 60 and 200m. Whilst the borehole drilling rig is still in position, we insert a test pump into the borehole to measure the volume and draw down the water produced over a 24hr period. Dependant on usage we may take a water sample and send it away for laboratory analysis. Results are fully certified by UKAS. When the borehole is completed we install the well head and water pumping equipment. We place a thermo-plastic well screen into the bore. This is slotted in the vicinity of the underground aquifer to allow water to pass through to the pump. The area around the well screen is then filled with a gravel pack up to approximately 3 metres below the start of the rock formation, to form a water filter. A bentonite plug is placed on top of the filter pack. Grout, injected into the remaining space to the top of the borehole, forms a seal and stops any cross contamination. We construct a sealed chamber, at ground level, to house the well-head assembly and allow easy access and maintenance. Finally, we install a stainless steel submersible pump, powered either by electricity or a renewable energy source such as solar or wind power. Attached to the pump is a rising main which brings water to the surface. We can also install any distribution pipe-work required, either to an existing system or a water tank.